PHOTO PROVIDED An untitled work by Josephine Tota, whose paintings are featured at Memorial Art Gallery through September 9. "The Surreal Visions of Josephine Tota"
Wednesday through Sunday, 11 a.m. to 5 p.m.; Thursday and select Fridays, 11 a.m. to 9 p.m.
Not every artist dreams that their craft will lead to fame and fortune. For some, creating is a compulsion almost as innate as breathing, and it's a means of hashing through the clashing of lived experience and inner life. It's not always meant for wide public consumption and the artist won't always offer tidy insight into their work. The vast majority of artists who have lived did not and will not become household names, but sometimes an obscure creator's work is brought into the light and finds an audience. This is the case with the private paintings of Rochester-based artist Josephine Tota (1910-1996), which are currently exhibited at the Memorial Art Gallery due to the keen eye and insatiable curiosity of MAG Curator of American Art Jessica Marten. "The Surreal Visions of Josephine Tota" includes more than 90 paintings that the artist made in the late stages of her life. Tota was 70 years old when she began painting small, intricately detailed, surreal works in egg tempera on wood panels. An Italian immigrant who worked as a seamstress in Rochester, Tota began taking classes at MAG's Creative Workshop in the 1960's. But the paintings exhibited in "The Surreal Visions of Josephine Tota" is work that she made primarily on her own in the privacy of her apartment. Friends from her ceramics classes who visited Tota at home convinced her to show her work to the class. And Larry Merrill — then director of the Creative Workshop — eventually got Tota to agree to have a show in 1990 in the workshop's Lucy Burne Gallery. But the work wasn't for sale, Marten says, and the work was packed up and went back to her apartment where it stayed until she died in 1996. 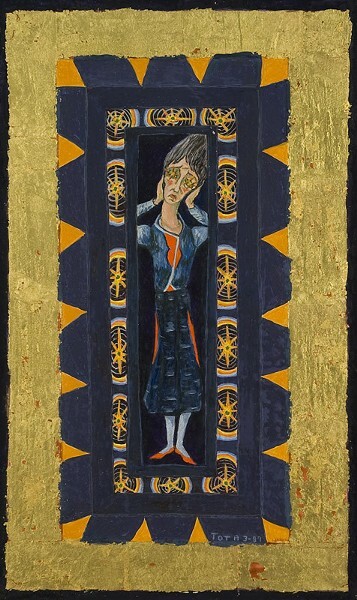 Many of Tota's jewel-like paintings reference recognizable works from art history (and MAG has provided many examples of these connections through accompanying wall text and imagery), but any familiar scenes are filtered through Tota's unique imagination, dreams, and memories. Walking through the exhibition, Marten points out that while there is disturbing imagery, alluding to physical pain, loss, and tragedy, the work is also imbued with a strong sense of feminine power and family bonds. Learn more: Jessica Marten will present "Behind the Scenes with the Curator: The Story and Art of Josephine Tota" will take place on Wednesday, August 8, at Rochester Brainery (176 Anderson Avenue). 6:30 p.m. to 7:30 p.m. $15. rochesterbrainery.com.